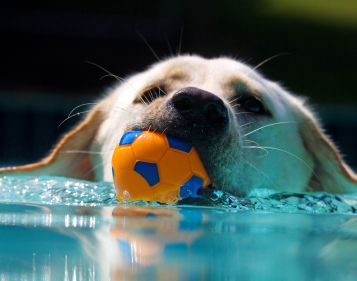 Does your Labrador refuse to fetch a ball? Or does he run out to fetch it, but then refuse to give it back to you? Although Labradors are born retrievers, not all of them are always keen to do so. 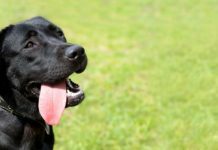 In this article we are going to look at why your Labrador doesn’t want to play fetch, and how you can train a dog, or puppy, to want to retrieve. Dogs just love to chase things. And everyone knows that Labradors are retrievers, born and bred. So teaching your Labrador to play fetch ought to be a simple. But the truth is, a lot of owners can’t get their dog to fetch at all. And if he does play, he simply runs off with the ball. Unfortunately ‘retrieving instinct’ is not dished out in equal quantities to each Labrador puppy at birth. Some have more than their fair share, and some have very little. Happily, this doesn’t actually matter for the purposes of your game. Because we can teach any dog to fetch, no matter what his instincts, using food rewards. 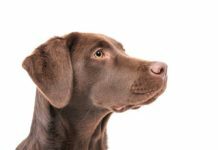 However, it is nice if we can get your dog retrieving naturally (and a lot less trouble) so let’s take a look at that first. Many Labrador puppies will chase after a ball and pick it up. Some will bring it back, at least part of the way! If your dog will do this, you have the beginnings of a natural retrieve. Let’s see if we can tweak that a bit. Your dog drops the ball before he reaches you. If your puppy fetches the ball two or three times then loses interest, you are in danger of squashing his retrieving instinct. [wp_ad_camp_2]The desire to retrieve can be quite fragile at first and easily damaged by too much retrieving. It’s time to back off a bit. Let your puppy have a few days off from fetching, make sure that the kids aren’t throwing things for him when you are not looking! And then try again. This time, when you bring out his retrieving ball or toy, make sure that you stop throwing, before the puppy loses his enthusiasm. For small puppies (under four months old) this may mean 1 or 2 throws, just once or twice a week. It all depends on the puppy, but most puppies will sicken of retrieving if encouraged to play fetch every day, many times a day. This is probably the single most common cause of ‘non-retrieving’ in pet Labradors. If your older Labrador has had his retrieving instinct suppressed in this way, you may be able to re-awaken it by rationing the retrieve as described above, or you may need to move on to the ‘trained retrieve’ below. This is very common. Especially in dogs that love to play with toys, and that are quite keen on playing fetch. It isn’t usually difficult to fix. 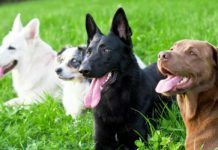 The objective is to help your dog to understand that he will have a lot more fun, if he plays with you, than if he just runs off and plays by himself. The first thing to try, especially with puppies, is running away from the dog. Throw the ball and let him chase it, then as soon as soon as he drops his head to pick it up, run away in the opposite direction. Most dogs will want to chase you, and if they really want the ball, they’ll grab it first, and then run after you. Lots of fuss and another throw of the ball as soon as the dog brings it back, will teach him that it is worth coming back to you with his prize. If the dog leaves the ball behind in his hurry to follow you, then next time you need to delay your ‘run’ until he has it securely in his mouth. Once he is coming back reliably, you can slow down to a walk and eventually stand still. Dogs that resolutely refuse to come anywhere near you once they have possession of their beloved ball, need to be taught a ‘trained retrieve’ (see below). Some dogs will come back to you with the ball, but then will ‘skirt’ around you. You can fix this with older dogs by playing your game in a corridor, like your hall, or a passageway between two houses. With a puppy, you can often resolve this simply by sitting in his bed and throwing the ball away from it. You are taking advantage of the fact that he will want to take the ball to bed with him! What if he won’t let go! Don’t be in too much of a hurry to take the ball away from a puppy. Scoop him onto your lap and let him know what a clever boy he is. Make a big fuss of him and when he is starting to get bored with holding the ball, take it gently and throw it again. With older dogs that hang onto the ball very tightly and have no intention of letting go, you need to teach your dog to release the ball on command, in a structured way, using food. We’ll look at that in the Trained Retrieve below. Some dogs have got into the habit of dropping the ball on the ground when they return. If you don’t mind, this doesn’t really matter, but a full retrieve should ideally end with the dog placing the item into your hand. 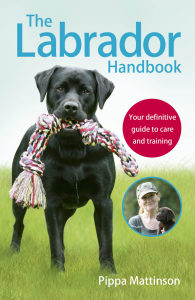 This is particularly important if you are thinking of having a go at some gundog training with your Labrador. When your dog returns with the ball, try ignoring him when he drops it. Some dogs will then pick the ball up again, and you can help him to understand that this is what you are looking for by telling him ‘good’ and giving him another retrieve as a reward. Over time, you can ‘move the goalposts’ until you refuse to throw again until the dog has made some effort to raise his head towards you with the ball in this mouth. Then you can become even more picky, and refuse to throw again until he attempts to push the ball towards you. You can see how, with good timing, you can ’shape’ a delivery to hand like this. There is also another way to get the dog to place the ball in your hand, and that is as a part of the Trained retrieve. The trained retrieve is a logical training process that teaches a dog the individual foundation components of the retrieve. 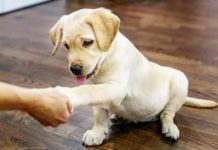 [wp_ad_camp_1]It teaches the dog to pick up an item from the floor, and to place that item into your hand in a very structured way. The trained retrieve uses edible rewards together with an ‘event marker’ to guide the dog through the process. You may wonder if it is worth trying to teach a complete ‘non-retriever’ to play fetch, and I can assure you that it is. Playing fetch brings a huge amount of pleasure to dogs, even dogs that previously seemed disinterested in retrieving. It is also one of the best ways to exercise your dog under controlled conditions, and to keep him focused on you and your family. Last but not least, let’s have a quick look at the kinds of toys you can use to play fetch with your dog. Ideal fetch toys are balls and Retrieving Dummies. Frisbies are great fun for competent retrievers but not ideal for learning on. 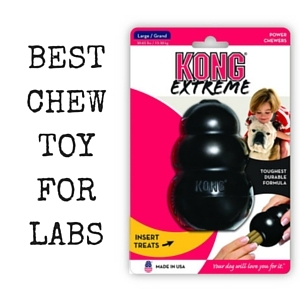 Sticks can be a problem as they can perforate the dog’s throat and the Kong Safestix is a great alternative. Sometimes, small puppies are not keen to pick up anything apart from a favourite soft toy, and it is ok to use this to get the game started. Other than this, retrieve toys should be stored safely out of the dog’s reach and not left for them to play with. 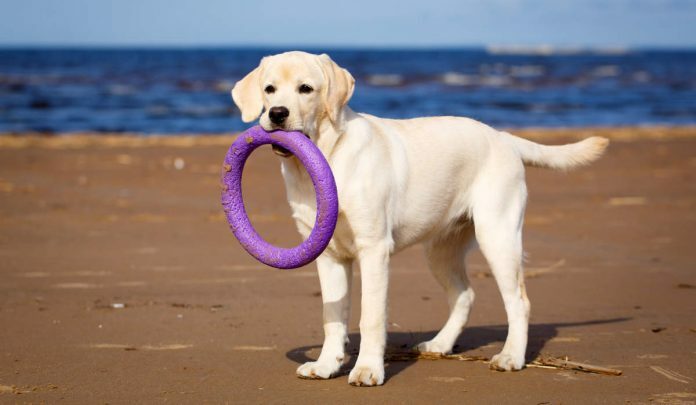 This keeps the retrieve item special and makes your dog far more likely to want to play fetch, whenever you are in the mood. 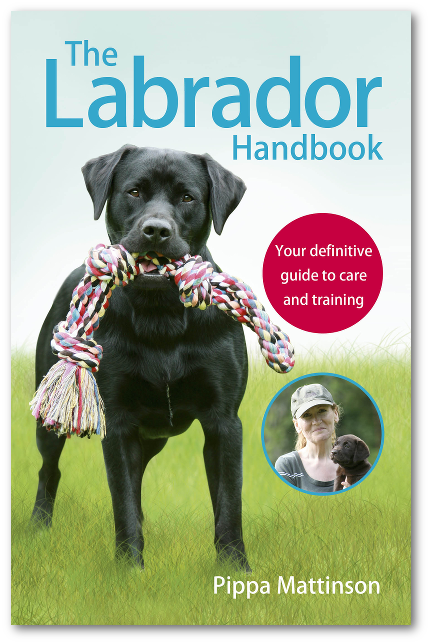 Check out our Training section for more information on fun things to teach your Labrador. Previous articleShould your Labrador sleep in your bed? Next articleWhy Does My Labrador Snore? Should I delete the treats and/or not throw ball more than 3 times till he’s older? Hi Pippa, I have a nearly 7 month old lab who simply loves to retrieve. She would chase a ball and return it all day, every day, if she had the option. I am concerned however about her joints. I noted the point in one of the books about walking up stairs – I have tried to limit that but she has walked up and down the stairs once or twice a day since she was about 5 months old. I also read about too much jogging for puppies. Does too much fetch have an impact on joints also? Thanks! My black Lab, Bonnie, was taught to retrieve. Most of the puppy classes I took her to taught positive ways to get dogs to retrieve. At first, when she was new at it, she didn’t like giving the ball up. Over time, we persisted and she usually dropped the ball at our feet and only stopped giving it back when she was tired – after many throws with the Chuck It. She absolutely adored retrieving and would do it any day, any time, many times a day. I think they do grow to love it more as they get older and less distractible. It’s so important for labs because there is absolutely no other way to exercise them enough and tire them out so they can be calm and happy indoors. I’ve met so many heavy Labs and Goldens that are under exercised. Our dog Bonnie was trim and fit all her life and she lived to be almost 15. I attribute it to the amazing exercise she got retrieving. They truly were born to do it and I believe it is absolutely necessary to bring it out in them. Hello, we just adopted a 4 year old black lab. The SPCA found him abandoned. He has scars from where a collar was embedded in his neck, defensive scars on his face and legs, and was severely malnourished. I don’t believe he was ever taught how to play. He didn’t even know how to chew on a bone! My trouble is, I want him to run and play. He doesn’t know how and I don’t know how to teach him. I took him to the dog park the other day and he just followed me around. He had no interest in the other dogs or their toys. I threw a ball for him and he just stared at it. His ears perked up, then that was it. I’ve had labs before (my chocolate passed away last year) but I’m not sure how to help him. He is very sweet and deserves to “play”. Any advice is greatly appreciated. Thank you. Hi Katy, how lovely that you have given your boy a good home. You will need to take the lead from him, he may never be very playful, but right now he is probably still rather traumatised by the change in his life, even though things are getting better for him, it will take time for him to adjust. You may find he becomes more playful in time. Do have a go at clicker training to get him working with you and bonding with you. If you join the forum you’ll be able to talk to others that have taken on rescue dogs and get support from them. Good luck with your dog. Hi. Im just wondering why my 2 month old labrador does not eat much and is not always active. Any suggestions? I have a 6mo old Golden/Labrador that LOVES to retrieve inside the house but isn’t as successful outside. Now that she’s getting bigger if really like to take our playtime outside 😉 Any advice would be greatly appreciated. Thanks in advance! I have a 10 month old chocolate lab that seems to have a little bit of retriever instinct (he will chase toys naturally if he is in an excited mood, but won’t carry them anywhere). I taught him the clicker retrieve and, while he will happily retrieve toys inside the house, he won’t pay any attention to any of his toys as soon as we get outside. Now, I’ve tried with a lot of different toys (using toys to which he has no free access at home), and I would really love to get him to retrieve outside the house. Do you think there is a way to get him to do it? 1. Try duck or quail scent on the retrieve toy. Smell is a strong sense and may stimulate some response. 2. 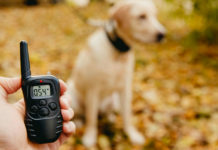 Find a trained retriever and have your dog watch only for a bit and you may see an opportunity to get him going that way. oops not nonsensical I meant no-nonsense!! Sorry, I meant the clicker trained retrieve page from the gundog section. Actually yesterday and this morning I tried out one of your tips – walking away from him once he has picked up the toy and he comes right after me!! I suppose we will slowly work this towards giving it to me? But is it a good idea to set aside a particular toy/retrieving dummy only for retrieving, or is the difference more in my behaviour? PS. I notice now that I have a wicked autocorrect on which might explain some of the odd language above! I have an 8 month old lab/beagle cross who has loved retrieving since we brought him at 8 weeks old. His favorite toy is a rubber ball with a rope threaded through it. He likes playing tug of war with it too. The toy is cheap so its easily replaced when it gets worn out or chewed up. It is also safe because there is nothing sharp or hard on it. I find the rope handy to take the ball from the dogs mouth. He is still learning the difference between “give” and “tug”. He likes tugging more than giving me the ball when I ask for it.